SAFEGO is the safer way to keep your valuables out of reach. 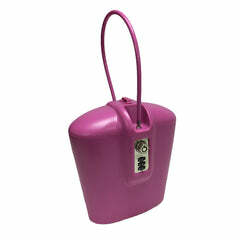 Safeguard your cell phone, camera, credit cards, room key, sunglasses and more with our portable safe. Are hotel safes really as secure as we think? We just received our 100th Amazon review. We cannot thank all of our customers enough for their productive feedback on our new portable safe. Here are a few of our favorites from this past month. "I found out about this on some other website. I travel a lot and have been looking for something to lock my valuables in when I leave my hotel room or am at the beach. This is a very sturdy lock box. It was a little bigger than I expected...even my iPhone + fit in easily. So that was a nice surprise. If you are looking for something to store your valuables in while you are away I would definitely recommend this product. Just remember to lock it around some immovable object or your beach chair!" "This is EXACTLY what I was looking for. It holds just enough two phones, a wallet, keys, and maybe even a little more. Super easy to open and close." "This is a perfect safe for us as we visit our local amusement park during the summer. It easily locks lounge chairs together and we can feel safe leaving our valuables. It is big enough to hold car keys, credit cards, sunglasses, and phones in. A perfect safe!" Want to see what all of our customs have had to say? Click here. "This is the single greatest purchase I've made in the last 12 months. Highly recommend!" SAFEGO is a portable and lightweight travel safe that can virtually attach to anything. Functioning as a personal safe and lock-box with limitless uses, this invention was created and designed specifically for theft prevention, focusing on its durability and interior space. Use SAFEGO in any setting to protect your smart phone, keys, cash, wallet, camera, sunglasses, jewelry, and more.